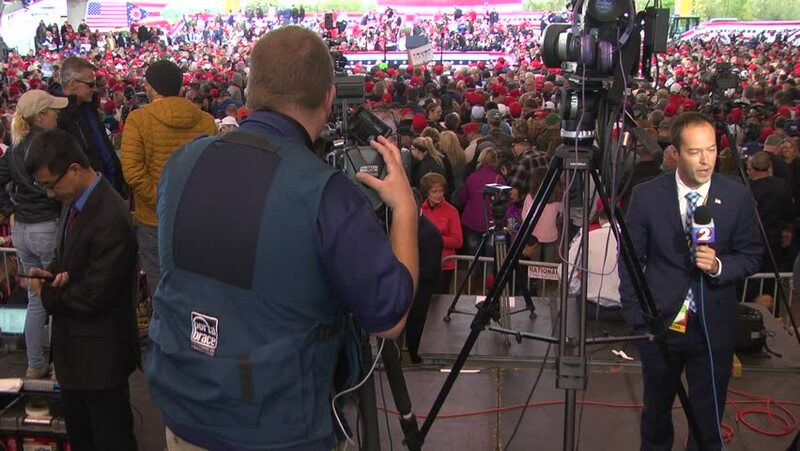 LEBANON, OHIO, USA - OCTOBER 12, 2018: View from the media pen as worldwide press prepare for a president Donald Trump rally at the Warren County Fairgrounds in Ohio, 21 months into his inauguration. hd00:12Hong Kong - October 2008: Crowds of Chinese people trying to catch a glimpse of celebrities at a Nike Store opening event in Hong Kong, China. hd00:11TAIPEI, TAIWAN - MAY 7: Crowds shopping of Shilin Night Market in the Shilin District of Taipei May 7, 2016. Shilin Market is the most popular and largest night market in Taiwan.